On June 5th, we received word that a VIP guest would stop by our office later in the day. At around 3pm the entire block was cleared of traffic. K9 dogs were walking up and down the street, Camden City Metro Police had blocked the road, and there was a helicopter overhead. Suddenly, a caravan of black SUVs arrived in front of our office and the Secret Service jumped out. 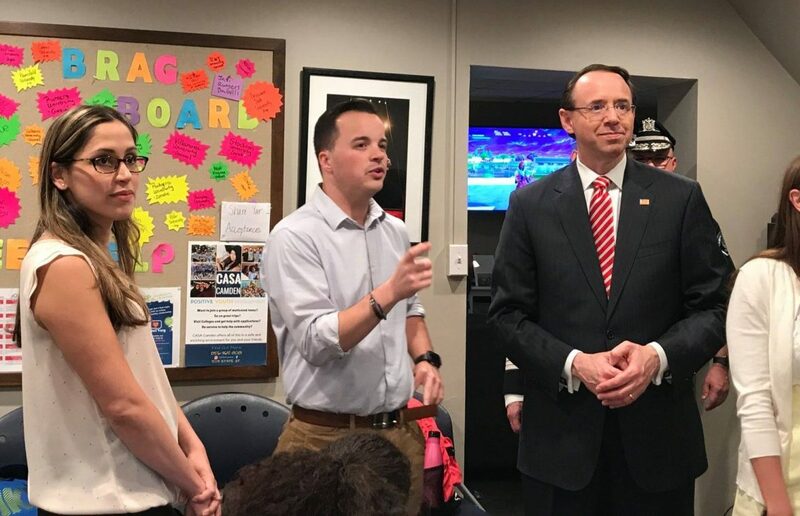 Soon after, the Deputy Attorney General of the United States, Mr. Rod J. Rosenstein and his daughter exited the vehicles and were introduced to Tim and Lourdes as well as some of the CASA Teens. 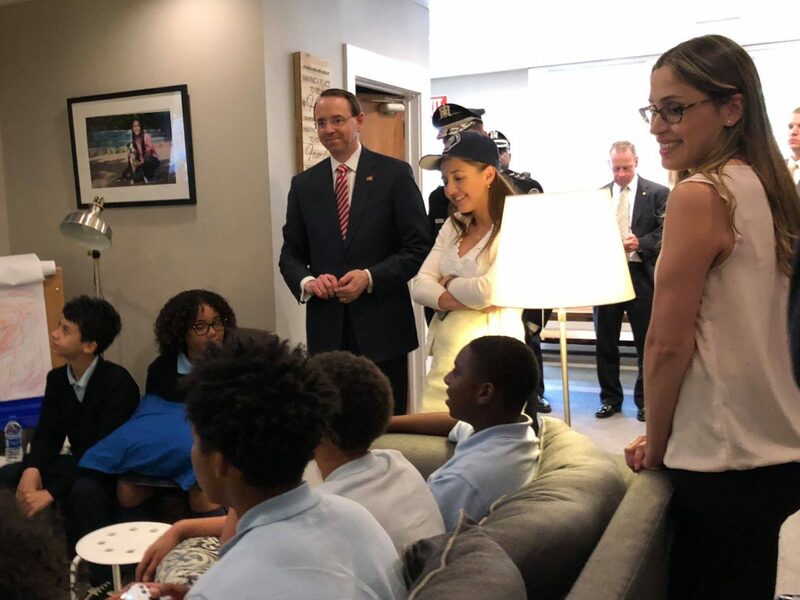 The Deputy AG and his daughter visited Camden to learn about unique ways to prevent violence and increase peace. They made just one stop other than the Police Department...CASA. We were honored. The General and his daughter took a few minutes to tour the CASA space and to meet with teens. They were genuine in their desire to understand how after school programming was essential to student success in Camden.